EXTENDED! HOME ESTATE AGENTS are delighted to bring to the market this charming extended three bedroom semi-detached property located on a large corner plot on Iona Way in Davyhulme. Our Vendors have extended the property to the rear adding space to the kitchen and also adding the garage which can be accessed internally. The location of the property is ideal for all local amenities and transport links and within the catchemnt area for several popular schools. The accommodation comprises of porch. 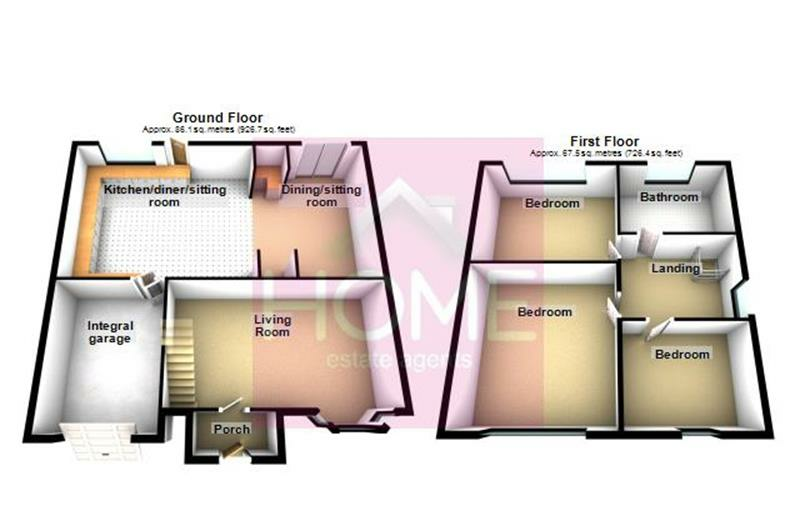 lounge, open plan kitchen, dining room and sitting room leading to the internal garage. To the upstairs are three generous sized bedrooms and a recently fitted modern bathroom. The property is double glazed and warmed by gas central heating. To the outside front is a walled and gated garden and driveway offering off road parking. To the rear is a low maintenance large paved garden with raised decked patio area. To book your viewing call HOME on 01617471177. UPVC double glazed bay window to front. Television point. Electric fire. Double panel feature radiator. UPVC double glazed window to rear. A range of fitted wall and base units. Rolled edge worktop. Double electric oven. Gas hob. Integrated fridge and freezer. Integrated dishwasher. Over head extractor fan. Splash wall tiling. UPVC double glazed sliding doors to the rear. Double panel Feature radiator. UPVC double glazed window to front. A range of fitted wardrobes. Single panel radiator. UPVC double glazed window to rear. Television point. A range of fitted wardrobes. Single panel radiator. UPVC double glazed opaque window to rear. P shaped bath. Pedestal wash hand basin. WC. Splash wall tiling. Ladder style radiator. To the outside front is a walled and gated garden and driveway offering off road parking. To the rear is a low maintenance large paved garden with raised decked patio area. To book your viewing call HOME on 01617471177. Freehold as advised by the vendor.